If you have any questions about the PIAFFE 2 information page below please contact us. This sailing yacht PIAFFE 2 is a 34 m 113 (foot) well sized aluminium luxury yacht which was built at Jongert Bv and devised by Doug Peterson. A well proportioned ketch motor sailer PIAFFE 2 is a particularily clevery designed Dutch built superyacht which was launched to accolade in 2000. 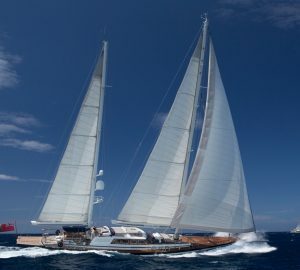 Sleeping 8 guests and 4 crew members, sailing yacht PIAFFE 2 used to be 402; Bagatelle as her project name or actual name. She could be considered a modern ketch motor sailer. Christened for 2000 the comparatively modern interior decoration reflects the essence emanating from the boards of Peter Sijm. Doug Peterson was the naval architecture company involved in the technical nautical design work for PIAFFE 2. Her interior design was conceived by Peter Sijm. Doug Peterson is also associated with the yacht wider design collaboration for this yacht. In 2000 she was formally launched with celebration in Medemblik and post sea trials and final completion was then delivered to the yacht owner. Jongert Bv completed their new build sailing yacht in the Netherlands. Her hull was built out of aluminium. The sailing yacht main superstructure is made for the most part with aluminium. With a beam of 7.5 metres or 24.6 ft PIAFFE 2 has moderate size. She has a deep draught of 4.54m (14.9ft). Installed with one MTU diesel engines, PIAFFE 2 will reach a top speed of 13 knots. Connected to her MTU engine(s) are a single screw propeller. She also has an efficient range of 2500 nautical miles when motoring at her cruise speed of 12 knots. Her total HP is 544 HP and her total Kilowatts are 400. Regarding thrusters she uses Hydromar. The good sized luxury yacht sailing yacht PIAFFE 2 can sleep as many as 8 passengers and 4 professional crew. 34.44 metres / 113 feet. Total engine power output 544 HP /400 KW. Her top Speed is around 13 nautical miles per hour. 2500 at a speed of 11 knots. Onan 2 times 30 kilowatts. The minimum draught is 2.3m/7.5ft. 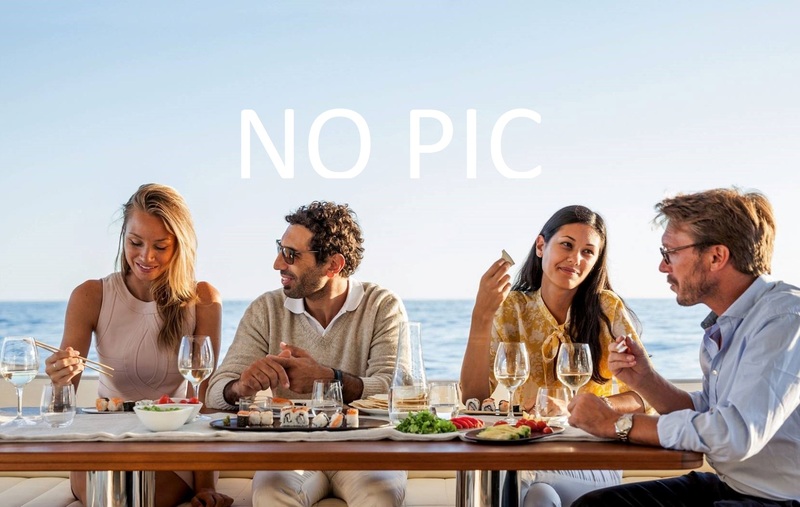 The luxury yacht PIAFFE 2 displayed on this page is merely informational and she is not necessarily available for yacht charter or for sale, nor is she represented or marketed in anyway by CharterWorld. This web page and the superyacht information contained herein is not contractual. All yacht specifications and informations are displayed in good faith but CharterWorld does not warrant or assume any legal liability or responsibility for the current accuracy, completeness, validity, or usefulness of any superyacht information and/or images displayed. All boat information is subject to change without prior notice and may not be current.